Run 4 Cancer News > Helen Lawrence is running in the Snowdonia Marathon! Helen Lawrence is running in the Snowdonia Marathon! On Saturday 27 October 2018, Helen Lawrence will be joining many others taking part in the Snowdonia Marathon. 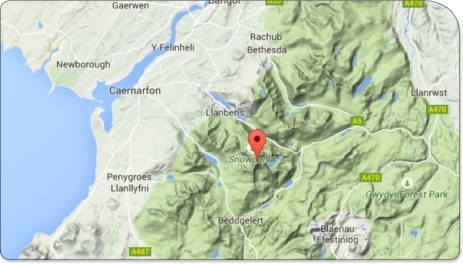 Helen will join the other runners at the start time of 10.30am from just outside Llanberis. The route follows the A4086 and climbs to the top of the Llanberis Pass (Pen y Pass 1.100ft). Dropping down to the Pen Y Cwyryd junction, the race then follows the old road along to the campsite until it joins the A498. This 2km section is farm track, downhill, then the surface returns to the tarmac. There is a short, sharp uphill back up to the main road at the campsite. The route then continues to the Beddgelert (200ft) and then continues along the A4085 to Waunfawr. From here it is a rapid climb to about 1,200ft at Bwlch y Groes (a short length is unmetalled) and then downhill to the finish in Llanberis. Please sponsor Helen and leave your words of encouragement below! Donation Form : Helen Lawrence is running in the Snowdonia Marathon! Great work Helen - you are an inspiration! Good Luck Helen and well done on supporting this charity!